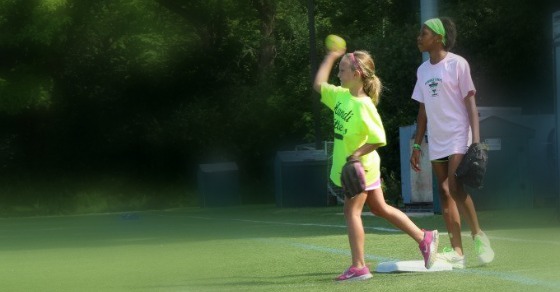 OYA Softball camp is all about fundamentals - throwing, catching, batting, fielding, and pitching. Girls need their own gloves and eye protection (when pitching); all batting helmets have face protection. Each camper will receive her own bandana for hair protection when using OYA supplied batting helmets. Girls are welcome to bring their own helmets to exclusively use throughout the week. Time will also be spent in our batting tunnels improving their swings. campers, ages 8 to 12. Space is limited to 16 campers. * Please be aware that the information in the printed brochure may be subject to change at anytime. Please refer to our Online brochure for the most recent information.